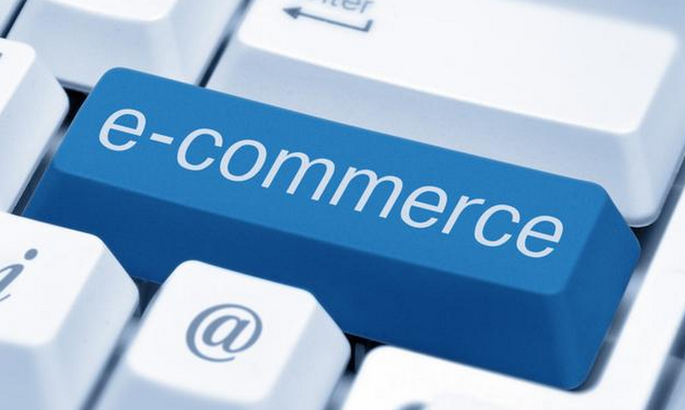 Selling goods and services into other EU states, smaller e-commerce enterprises bump into lots of obstacles. Top officials in Brussels say a large part will be removed near-term, and digital single market will cause European economy to grow once again. In Estonia, e-commerce is developing very fast as well while sales outside of Baltics are scarce as yet. Very internationally developed is the web-store of Baltika which gathered all its trademarks under common e-brand andmorefashion.com and has via that sold its garments into over 30 nations. Baltika board member Kati Kusmin admitted that sales into Europe are rather complicated due to the varying rules. «One must be aware of lots of details, otherwise unknowingly one may violate something,» he said. For instance, every nation has its imposed limit from which a foreign e-trader must get registered as VAT payer in the land. Due to the differing languages and bureaucracy, this may be a pain in the neck. Also, member states sport various consumer protection rules and though with no physical borders, transport of goods adds multiple costs going from state to state. Some enterprises have limits by countries – not all may use a platform, for instance, and at times it is impossible to purchase goods or services when not possessing a telephone number or credit card of certain state. Despite all of that, Ms Kusmin thinks international web trade is an excellent opportunity for Baltika to boost sales, as they could not afford expansion of physical stores at equal speed. Currently, work is feverishly on in European Commission and Parliament to harmonise the digital market and remove the obstacles. Under leadership of digital commissioner Andrus Ansip, an Estonian, law amendments are in preparation; the parliament is polishing the single digital market report whereby to forward its wishes to the commission. It’s a hot topic and all want to have a say. Ms Kallas says the topic isn’t easy but people see this might be the place where economic growth will come from, as enterprises might start selling to 500 million and not just the locals. «At the moment, the restrictions are too many indeed. The sellers want to sell, the buyers want to buy, but there are 28 separate consumer protection rules-sets in between, and ways one does the taxes etc,» she explained. Thereat, said Ms Kallas, in lots of ways everybody keeps looking towards the Estonians. «But from the Estonian side, I don’t see that the topic interests anyone much at all. In reality, in this we might be the engines. Like when we think about our presidency (in 2018 – edit), they are already saying that then the things will get done properly as Estonians know how it needs to be done in a progressive world,» she said. Estonian E-Commerce Association head Signe Kõiv said they are talking about the single market and until the aim is opportunities and not obligations for entrepreneurs, they think the direction is right. «It is important that they do not interfere in business decisions of e-stores nor issue prescriptions where (abolishing geoblocking) and for what price (abolishing price discrimination) a company needs to sell goods or services,» explained Ms Kõiv. She said Estonian e-stores are rather timid in e-exports but she believes this is rather due to the low investments capacity than the differing rights of member states. Even so, e-export support measures together with harmonised EU market rights may indeed enhance the cross-border sales of our e-merchants. The Brussels machinery is notably slow, but at least with this issue they remarkably agree – broadly. Last Tuesday, also in Brussels, the e-commerce giant eBay was there to present its report regarding the potential of single EU digital market. eBay European region chief Paul Todd told Postimees he thinks European Commission has prepared an impressive package of amendments for 2015 and 2016 already. «Immediately, they will be dealing with certain VAT and transport issues, but I believe that real changes come in two-three years,» said Mr Todd. Mr Todd believed the abolishing of limits may trigger the long-awaited e-commerce boom in Europe. Even so, he said, the growth will be also limited by consumer behaviour i.e. readiness to purchase certain items over Internet. «Over the web, foods go very slow, and heavy goods, and things that people insist they want to touch before buying,» he said. Meanwhile, said Mr Todd, the time spent in Internet by people searching about products is definitely increasing. «So, as certain hindrances are removed from buying over the web, people are actually ready to do it,» he added. The main threats to e-commerce growth, said he, are security of consumer data, and issues of trust, and opinions about whether buying over the web is normal. At that, Mr Todd said a trend that speeds up the process is tendency to buy via mobile phones – already, a whopping 50 of buys over eBay are done using phones, and a quarter of goods are actually purchased from the mobile. «So the states entering e-commerce now might jump straight into the mobiles, as it is there that people will be shopping in the future,» he said.